Sejak awal nge-blog, saya selalu iseng-iseng nyuruh Teguh, suami saya, untuk nulis guest-post. Teguh nggak pernah dilatih sebagai penulis, tapi saya selalu suka sama tulisannya. Selama dua tahun, suruhan saya nggak digubris—sampai hari ini. I enjoyed this piece a lot (walau agak berat yeee... yang males ngenggres-ngenggres boleh sekip), and I hope the story would be a fun read for you, and who knows, even give you a different light at things. I adore my father and I show it to him. Whenever he is in town (I live in Jakarta, he’s in Jambi), I would greet, hug him tight and kiss him on the cheek. We would sit on the sofa and I’d lean on his shoulder. We’d talk about his favorite subject—his grandchildren—and he’d passionately update the latest happenings on Haekal, his oldest grandchild at 12, and the six others. He likes to ask questions about the work of his sons, who are my elder brother, my younger brother, and myself. He listens enthusiastically to our stories, more often than not, amazed at how things are done so differently from those during his time. Back then, things were manual, travel was scarce, and information technology was non-existent. But here we are now, jet-setting by the day between our fully automated factories, running them from our smartphones. His ears and eyes are like a newborn baby—absorbing each story, each new discovery with a curiosity and passion of a learner. I believe, his never-ending hunger for knowledge is what brought him to his success. He finished medical school at the age of 24, and claimed to be the youngest doctor in Indonesia. There is no record of course, but then, it was in 1969, so he might just be right. For many decades, my father was the financial and moral backbone of our (very) extended families. He paid for my uncles’ and aunts’ and cousins’ education, weddings, and livelihood. Our Jambi house became the base camp of hundreds of village friends and families who were going to ply their luck in big cities. He inspired and provided tools and facilities for those who wanted to better their life. For these, he is highly revered by the thousands whose lives he has touched along the way. He is presently living, in my opinion, a dream old days: perfect health, living with grandchildren, and still practicing his professions. Yes, plural, as he is both an MD (still doing five operations a week) and a palm oil planter (still driving 3-hours round trip a week to his field). He still regularly plays tennis on Sunday mornings. He lives with my sister and her family, and her three children color his every morning and evening. Every few months or so, he takes long travels. He was last in Alaska, and before that South Africa, Mediterranean, and Scandinavian countries. Despite his age, he cherishes every second of his life with the utmost fulfillment. I believe a son’s life mission is to make his father proud. My moment came two decades ago, when I called him from a warnet in Bandung, telling him that I won a scholarship to Singapore. I was on still on the line when I heard him turn to my brother, Senna, at the background and said, “Sen, Uda kamu lulus! Hebat!” It might just be a passing moment for him, but my heart was bursting and exploding with pride, and just recalling that instant is making my eyes teary. That moment will remain in me forever. My father carried me through my hardest periods. When I first came to Singapore, I struggled in the early days. I could not speak English, the study environment was harsh, my school grades were poor, and I made very few friends. I was desperate to return home, and I sent letters to my father every other day. He wrote me letters too. One particular letter stood out, and I kept it for years. In the letter, he recited the story of Tariq bin Ziyad, a Muslim commander in the 8th century who invaded Spain. Upon landing on the Iberian Peninsula, he ordered his ships to be burnt; therefore, he couldn’t go back. Whether he would fail or succeed, retreat was not an option. My father likened my situation to Tariq, that I must muster all my courage to succeed, and "burn my ship", because failure was not an option. The letter was written in blue ink with my father’s majestic handwriting (like most doctors when they write prescriptions), and it took away my desperation and lifted me up to the air. I went on to stay in Singapore for thirteen years and achieved great things along the way. I twice dreamt that my father died. I could not remember what he died of, but I recall I cried during the dream and continued crying after I woke up. The day he leaves this world would be the most dreadful day of my life and I have no idea how and where I would garner strength to march on. Yet, I know that day is inevitable and the best I could prepare is preserve his teachings and live my life on it. My father had been a pillar of strength throughout my life. If I could be half as strong a father to my son as he had been to me, I will know Raya would be a very successful man. So I took my time to ‘select’ my father-in-law, hahaha. I was introduced to my wife, who was described to me as a daughter of a high-profile man, in 2007. Unfortunately, at that time, she was in love with another man. It was not until three years later that I had the chance to court her. It was worth the wait, as she turned out to be a fine wife and a loving mother to my son. Within three months of wedding, I joined father-in-law’s (FIL’s) company. I was doing OK in the corporate world, but the lure of bossing people around and slacking at work was too great to refuse. To this, it remains very arguable, whether I’d have made a bigger fortune had I stayed in the rat race, but that would be another story altogether. I am now living in FIL’s house, and through daily Subuh prayers, dinner sessions, and work interactions, I have come to learn the wisdoms of this great person. 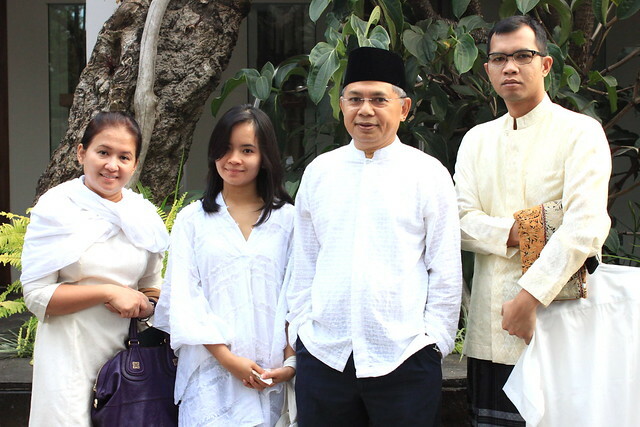 At first, he was like most parents—working and saving hard to pass on to his descendants, until a few years back when he met a cleric (ulama) in Tangerang. The cleric asked him, what will he do with his wealth when he died? FIL answered, “For my kids.” The cleric continued, “Then what would be left for you?” FIL was confused. He’d be dead, why would he need wealth in his graveyard? So the cleric went on to say, “No, you must also allocate some as your own deposits for the afterlife.” He must dedicate some of his wealth for the poor and the needy, and the prayers of the helped will be his savings for the afterlife. And so, from that day until today, FIL designs his wealth management based on this philosophy. In fact, in an honest father-to-son talk, he admitted to me that 90% of his assets would go to numerous charitable foundations. In turn, we the kids inherit his ‘good name’, an inheritance he believes worth more than any cash. FIL dedicates his life to helping others. Everywhere I go, I always meet people who tell me stories about how FIL has helped their health, business, and education. He is a strong advocate that everyone should have access to the best medical care, often paying for others’ medical expenses out of his own pockets. I can recall a few stories where he sends lowly employees for treatments in Singapore. When a friend starts up a new business, he lends his good name to cause. He offers his networks, friends in government, banking sector, technocrats. In many cases, he puts in his personal guarantees, which, at the default of the business’ debts, his personal wealth is liable. His death wish is to die poor and assetless, so he can be of maximum utility to those around him. Nothing gives him as much reward and satisfaction as the act of giving. For someone who has achieved everything, FIL is incredibly down-to-earth. He treats everyone equally, somewhat ignorantly, from gardeners to engineers to ministers. He wears clothes and shoes bought from factory outlets, eats roadside Padang food, drives a Honda Freed—while the people who live off him drive Alphards and Mercedes’. Laila told me that he often sits on Economy when flying long-haul on business trips—and sleeps on the cabin's floor for the sake of more space!—while his employees enjoy Business Class. He shuns away from material wants, and he infuses this principle to me all the time. “Never, ever raise your lifestyle in times of economic upturns,” he tells me repeatedly, over and over, “Supaya kita tidak linglung saat rejeki turun.” He tells many tales about his friends who lived like kings, only to disappear into oblivion when their riches are gone. He infused me with a business philosophy that emphasizes on hard work and credibility. In fact, he almost always avoids short-term profits. The real profit, according to him, is when we obtain a friend out of a project. “Selalu ikhlas dalam bekerja, imbalan lebih besar nanti datang tanpa diduga,” he said. He allocates his time for people from all walks of life who come for advice. Over a long run, he receives a lot of fresh news and ideas. These rewards are invaluable, and can only be obtained after nurturing years of honest relationships. For an ordinary man, power and money are all there is to be achieved. But for a man who has them all, especially obtained early in their career, money and power become the very things they avoid. The only indulgence they pursue is one of giving. My father-in-law is a living example of such man, and I am blessed to witness the life of this legend at such close range. The reason I write this is because January is the month of my fathers. My birth father’s birthday is today, the 28th of January, while my father-in-law’s on 1st of January. Both are characters of commendable compassion, spirit, and honor. They are moving into their sunsets, but their wisdom has been embedded in me and has eternally shaped the person that I am today, and the steps that I will take tomorrow. Happy birthday, Papa. 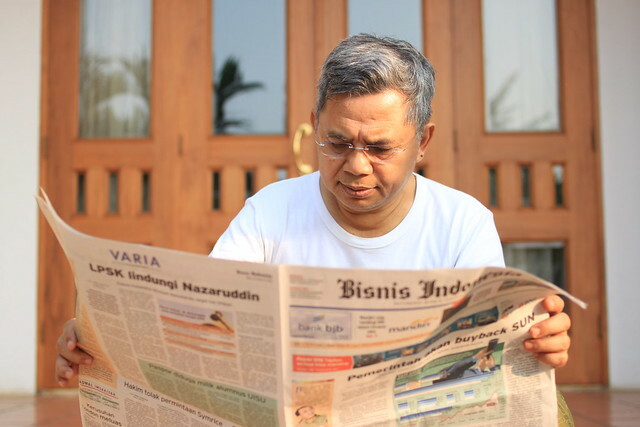 Happy belated birthday, Bapak.
" 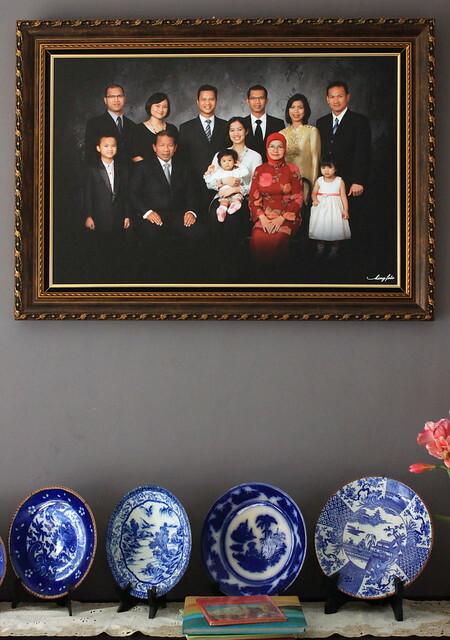 “Never, ever raise your lifestyle in times of economic upturns,” he tells me repeatedly, over and over, “Supaya kita tidak linglung saat rejeki turun”." -thanks for sharing ya Mas Teguh. Kok bisa-bisanya bikin aer mata ngembeng sih? Abis baca ini, keinginan bela-beli barang mewah langsung pudar. Aku sangat-sangat ingin berguru sama Pak Achmad niihh.. gak buka kursus ya dia? ihh.. keren yaa, bapaknya Teguh dan bapaknya Laila. Bener2 menginspirasi..
imho, kalo teguh kayaknya memang jago nulis. waktu di bandung dia terpilih seleksi ekskul majalah sekolah, bakat jadi pinred lah, kalo diterusin. Bravo Teguhhh!!! Sering2 nulis ya Pak Teguhhhh!!! I loveeeee your writing! Happy birthday to both fathers! Jadi sedih, inget almarhum papaku yang birthdaynya bulan Februari ini. Yes, it's a very beautiful writing, indeed. Bagus banget tulisannya *catet petuah para bapak2* Jadi malu sendiri masih suka buang2 duit buat yang ga penting padahal duitnya cuma segitu2 aja. Wow, bergidik bacanya. I always have soft heart for fathers. Happy Belated Birthdays, Oom Oom. Buat T & L, wah, ini suami istri gaya nulis nya top. Selalu seneng mampir di sini. peluk cium untuk smua papa/bapa/ayah/abah di duniaaa! Pantes ya loe dan T pinter banget. It is inherited! Wow! "It was worth the wait, as she turned out to be a fine wife and a loving mother to my son." Laila, you're a good writer and I enjoy ur blog, but after this post, I should say Teguh's post made the blog even better. uhuuuy.. "a fine wife and a loving mother to my son" jadi penyemangat untuk bertempur MPASI lagi ye mbak sama Raya.. hehe..
Happa bday buat para Ayah, pesan-pesan mereka bagussss bgt, terutama tentang amal & gaya hidup. Hati jadi enteng lho abis baca ini, Teguh tulisannya mengalahkan semua artikel2 di website parenting ini sih. Mima, Siapakah anda..., kok tahu masa lalu saya? Nuri, thank you... Berasa ngutang nggak Lei? Wawagunk, thank you... chill aja man, masih muda gpp foya foya dulu *loh? Safisapi, thank you... Yah, kenapa nggak nyapa, atau kita janji ketemuan aja? Mila & Indy: Makasih banyak yaaa. Aku pun tak sangka si suami bisa nulis beginian. Biasanya nulis BBM aja cuma "Ya", "Ga", atau O dan K alias "OK". Zzzz. Keep inspiring you two, my dearest dunia maya favourite duo! Ya amplop itu Teguh beneran? Bukan Bradley Cooper lagi? Gilaaaaak keren banget tulisannya Teguh yaaa.. gak nyangka. This writing is just too beautiful! :') Thank you for sharing, mas T! What a great people are..! 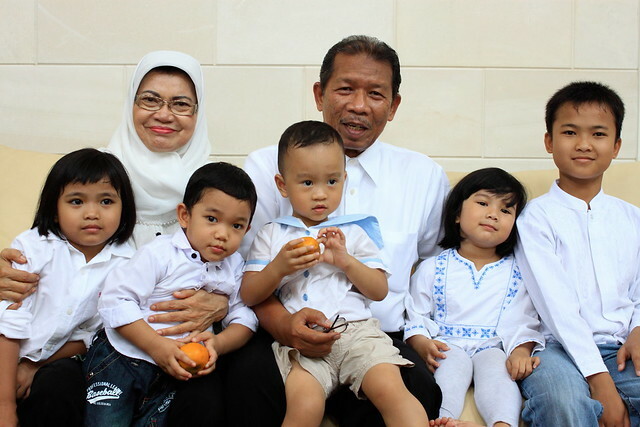 Happy birthday oom-oom, diberkahi kesehatan & kedamaian, serta perlindungan untuk anak2 & cucu2nya. Aming. msh keingetan kagum ama pak A waktu beliau gak bkn space VIP pas kawinan kalian, disitu aku bener2 kuagum ama beliau, dan hari ini ditambah lg. Lei, titip salam buat Teguh, tulisannya bagus. Jujur, gue salut dengan pemikiran ala Warren Buffet "Never, ever raise your lifestyle in times of economic upturns" yang ada di bokapnya Laila. Hebaat lah, *speechless* semoga sehat terus ya dan selalu diberkahi Allah SWT. Aamin. Indy, thank you... kok sakit tenggorokan? Leija wifey, siapakah enda & isman? yanikemas, thank you... gw punya senior di jambi 4 tahun diatas dengan nama sama, bukan anda kan? Amy, thank you.... satu lagi quote Warren Buffet : "I will leave enough for my kids to do anything, but not NOTHING"
Mbak laila....bagus sekali tulisan ayahnya raya, jadi ngembeng airmata karena saya sering diberi tugas sama bapak untuk membantu menyalurkan bantuan beliau....saya merasa beruntung dipertemukan dengan figur sebaik Bapak...semua yg dituliskan ttg bapak memang sangat menyentuh utk dijadikan contoh....sosok yg luar biasa...semoga Bapak selalu sehat dan doa terbaik untu beliau. Ahhh suka banget tulisan ini :). 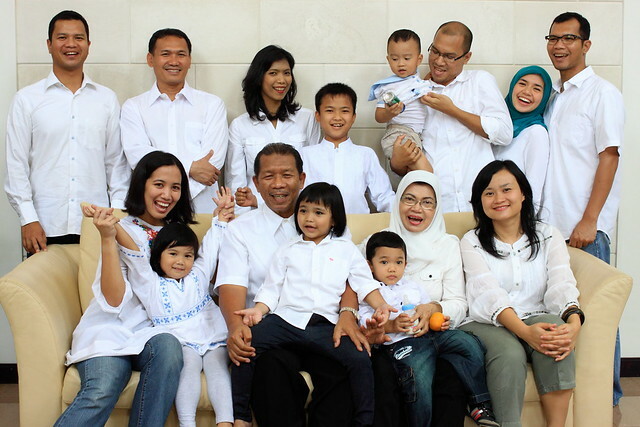 orangtua hebat menghasilkan anak2 yang hebat :). Mba leii. Baca ini jadi tambah ngefans sama kalian :| izin share ya mbaa..
Duhhh sukaa banget deh baca ini. 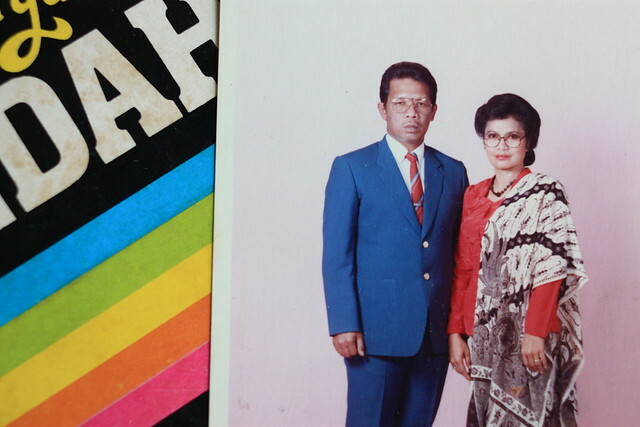 Jadi kangen emak bapak juga deh..sehat selalu buat orang tua kalian yaaa.